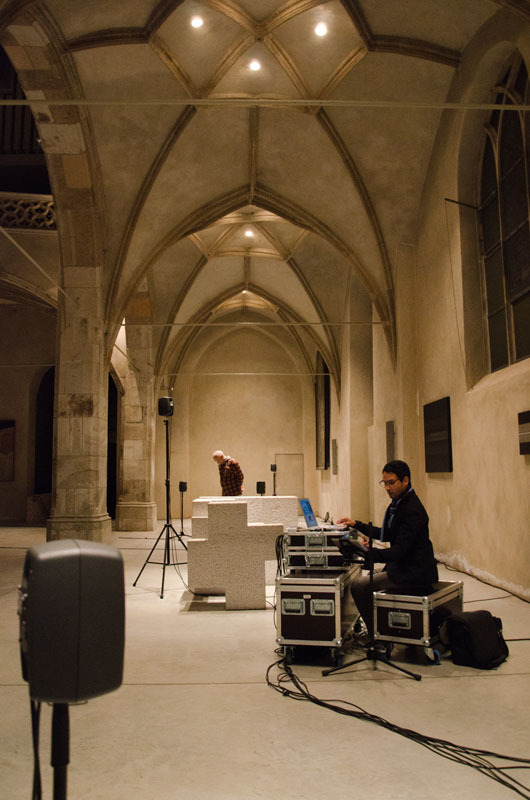 The Chambers for Space Inquiries performed a live spatial building-composition by using the issit (in situ sound installation tool) that was delveloped since 2010 and comprises a multichannel audio system with 32 speakers and software tools for the question and answer play with the site. 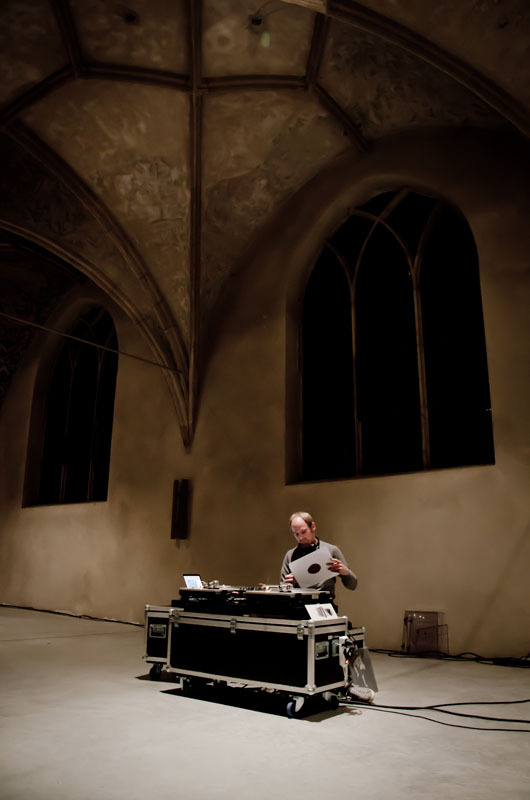 on this evening the Chambers also used a turntable orchestra with eight identical devices, prepared LPs and a DJ setup that was all connected to the spatialization system of issit. By this the spatial properties of the building, architecture and atmosphere were acoustically researched and learned. The whole space of the church had become an integral constituent of the composition.